Until summer 2017 I was a company director and part owner of a family business The AlbertRoss Salvage Emporium Ltd which specialised in the renovation and retail of original period cast iron fireplaces and architectural salvage/antiques. We have now closed the business. 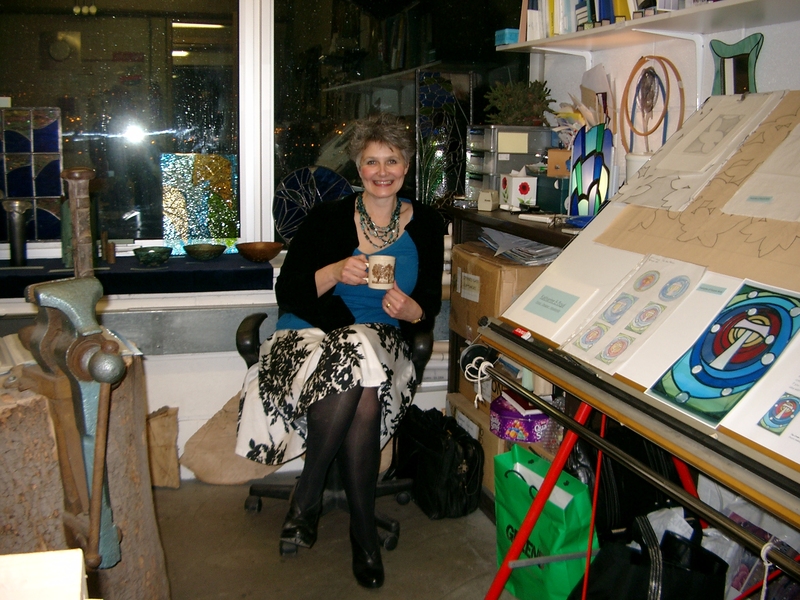 Designer-maker & sole proprietor of Katharine S. Boyd Artist-Designer-Metalsmith specialising in stained glass & fine metalwork. My studio is now located in Yorkshire ArtSpace’s Persistence Works in the heart of Sheffield’s Cultural Industries Quarter. I am a regular participant in open studio events at Persistence Works. From 1977 to 1994 I was a State Registered Nurse working within the National Health Service. For much of this time I was a practising senior nurse in the field of general and cardio-thoracic intensive care and coronary care where my responsibilities were both clinical and managerial. Prior to beginning my nursing career I worked for a number of years with my father in his business where we specialised in the design and production of three-dimensional artwork for commercial & public premises. I was born in Sheffield in 1955. I am married and have two adult children & a granddaughter. In 2003 I became a licensed Anglican Lay Minister with both preaching and pastoral responsibilities. My main interests include current affairs & politics, reading, film, television and radio, making things, art & design and architecture. I am happy to discuss almost anything (even football) with almost anyone. I value friendship, kindness, compassion and integrity and a good sense of humour. Thankfully mine seldom lets me down. In 2017 I finally achieved a longtime ambition of learning to ride a motorbike. I’m still working on learning to dance! Katharine S Boyd | Powered by Mantra & WordPress.